It’s Bike Park season, nearly. That means it’s time to roll out the reminders of how to keep it classy and rubber side down. 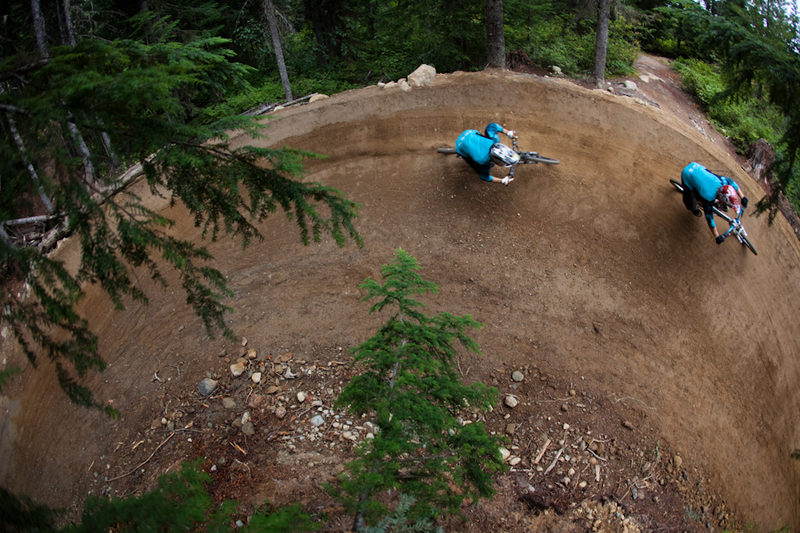 The Whistler Health Care Centre receives about 19,000 patients a year, so the 898 bike park cases represent five per cent of all clinic visits. Dr. Annie Gareau, an emergency room specialist at the health centre and co-author on the study, said a general rule of thumb is that one in 1,000 skiers are injured, one in 100 snowboarders, and one in 10 downhill cyclists. 12 per cent of the injuries suffered in 2009 were considered potentially threatening to life, limb or function. More than 75 per cent of the bones broken in the bike park were upper body bones. The most commonly broken bones were found in the shoulder area. He found that 122 fractures involved shoulder bones. The next highest number of fractures was in wrists. A total of 109 broken wrists were reported during the study period. Finger bones were the next most commonly broken parts. It’s pretty grim reading and could scare anyone off the Bike Park, and mountain biking in general, for good. However, that doesn’t seem to be happening. Each year more and more riders flock to Whistler from all over the world to ride the legendary trails. In 2012 the Whistler Bike Park received its one millionth visitor and each summer over 100,000 riders descend on Whistler. Mountain biking is innately risky but it isn’t necessarily dangerous. There are a few critical things that anyone can do to avoid becoming a statistic at the Whistler Health Care Centre. Of the 24 cases where safety equipment notes were made only one was documented as not wearing armor. The other 23 were documented as wearing a variety of protective devices beyond a helmet, including knee and elbow pads, full body protective suits and neck guards. Don’t think that avoiding the weird looking stage costume body armor will make you any cooler. There’s nothing cool about the pain of gravel rash, broken bones and a lengthy period of recovery. The typical bike park injury victim is injured between 1 and 4 p.m. Specifically, the Bike Park patrol’s busiest time is right before lunch and towards the end of the day. What we can hypothesize is that the curse of “one more lap” and fatigue comes into play. Drink plenty of water (there are taps at the top and bottom of the chairlift), make sure you are fueling up, watch out for signs of heat stroke and tiredness, and don’t ride while impaired or when hungover. The study found that 86 per cent of the 2009 patients were male. This is predominately going to be because the majority of riders are male. However, males are generally a little more inclined to court risk. Bravado and a lack of common sense often characterizes injury victims. Build up to challenging trails features slowly and acquire the necessary skills to do so competently and safely. Remember, the trails will still be there tomorrow but you won’t be if you get stretchered off the hill. 4. Don’t drink and ride. The temptation to party all night and then everyday while on holiday in Whistler is very strong. However, alcohol and mountain biking don’t mix as well as the bartenders in the GLC. Mountain biking is a physical activity that requires riders to be utterly present and have total control of themselves. Don’t sneak in lunch time beers (the typical bike park injury victim is a 26-year-old male injured between 1 and 4 p.m.) and if you go out and have a skin full of alcohol then consider not riding the following day. If you haven’t got your wits about you or the capacity to function at 100% then you increase your chances of injury immensely.